Where's the Trail of Tears marker? 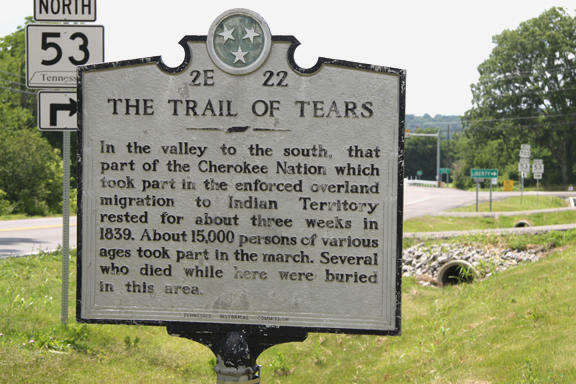 From a reader: I read the article about the Trail of Tears marker, but for the life of me, I can't find it. Could you tell me where it is located? Gladly, the Tennessee State Historic Marker 2E 22 is located off McMinnville Highway (US 70S) near the USDA Service Center. If you are headed west into Woodbury, it is on your right just before the intersection with state Route 53 North and the new Veterans Memorial Bridge. Or if you are headed out of Woodbury (toward McMinnville) it will be on your left just past the new bridge. "In the valley to the south, that part of the Cherokee Nation which took part in the enforced overland migration to Indian Territory, rested for about three weeks in 1839. About 15,000 persons of various ages took part in the march. Several who died while here were buried in this area." 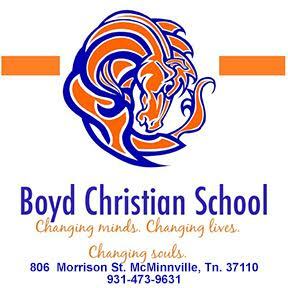 The marker is a short distance (about 100 yards) from another Tennessee State Historic Marker. This second marker (THC 2E 16) indicates where Confederate Gen. Nathan Bedford Forrest and his troops rested before attaching federal troops holding Murfreesboro. The marker says, "Here Forrest, with his newly organized brigade of about 1400 calvarymen, halted for a short rest before making his successful raid on Federal forces at Murfreesboro under Gen. T. L. Crittenden. He freed a number of hostages from this locality and captured about 1200 prisoners and a quantity of munitions and stores." Both markers point to the key role that roadway has played in Tennessee's history. Back in the day, it was called the "Old Stage Road" and received so much traffic that John Wood operated a stage coach stop there in 1811. (Woodbury is named after Wood.) Before then, it was the Black Fox Trail, named after the famous Cherokee chief. By 1806, it was known as the Stones River Road. Wood's house was located on the hill overshadowing the road. When the Cherokees were force-marched through here in 1839, some 10,000 Native Americans camped in front of Wood's home. Across old Hill's Creek (and the road) was located the Beaver Dam trading store. Years later, U.S. Rep. William Cannon Houston called his plantation located there Beaver Dam. Houston's house still stands and is listed on the National Register of Historic Places. Houston represented Tennessee's 5th District from 1905 to 1919. He preceded his terms in Congress by serving in the Tennessee Legislature from 1876 to 1880 and as a state court judge in 1984. The still-standing Rock House Shrine was the preferred stopping place on the old road between Woodbury and Sparta. It was a popular stop for Presidents Andrew Jackson and James K. Polk on the way to Washington D.C.
U.S. Route 70S is an alternate to U.S. Route 70 between the western part of Nashville and Sparta. It runs concurrent with US-70 for several blocks in downtown Nashville. The highway follows Murfreesboro Pike from Nashville to Murfreesboro then heads due east to McMinnville then north to Sparta where it ends at its junction with US 70. Once called the "Broadway of America" U.S. Route 70 is an east-west United States highway that runs for 2,385 miles from eastern North Carolina to east-central Arizona. Back in the days before the Interstate, the road ran from coast-to-coast with the current Eastern terminus near the Atlantic Ocean in North Carolina, and the former Western terminus near the Pacific Ocean in California. At the time, it was one of the main east-west highways in the nation. Please expound further regarding the Rock House Shrine. Thank you.